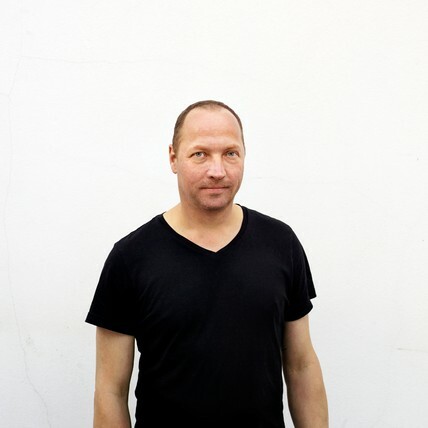 Tord Boontje is known for his expression of romanticism in contemporary design. Some of his designs are whimsical and light-hearted; at the same time they can connect with strong emotions. “I’m interested in creating elements for everyday life that are exciting and uplifting to live with” says Boontje. With a strong interest in storytelling, nature, decoration, materials and technology, his work has an experimental approach. The results can vary from the ornate to the minimal, from the handcrafted to made-by-robots. Tord Boontje is originally from the Netherlands and his education at the Eindhoven Design Academy and the Royal College of Art in London set the foundations for Studio Tord Boontje. Established in 1996, the studio’s early projects were already in the area of mass production as well as experimental one-off pieces. The studio has since worked with international companies on a range of products that includes lighting, graphic identity, textiles, ceramics, site-specific installations, and furniture. Work can be found in major museum collections such as the Victoria and Albert Museum and MoMA in New York. This extremely creative and prolific studio responds to and leads trends. An interest in social issues grew into working with artisans in developing countries and led to projects in Guatemala, Senegal, Rio de Janeiro and Columbia. The studio has grown, evolved and travelled. They spent 5 years in rural France before Boontje decided to return to London in 2009 and engage with education, taking up the challenging appointment as Professor and Head of Design Products at the Royal College of Art, a position he held for 4 years.